Founded in 2012, the Center for Youth Wellness has been leading the charge to revolutionize pediatric medicine and transform the way society responds to children exposed to significant adverse childhood experiences (ACEs) and suffering from toxic stress. We look forward to working with Founder Dr. Nadine Burke Harris and Executive Director Chris Padula. ChopChop, The Fun Cooking Magazine for Families (and its sister publication, ChopChop’s WIC edition) is a quarterly magazine launched as an antidote to childhood obesity, hunger, and poor nutrition. ChopChop Kids’ mission is to inspire and teach families to cook together and be nutritionally literate. ChopChop aims to empower all families to establish better eating habits for a lifetime of good nutrition. We look forward to working with Founder and President Sally Sampson. CommonLit is a free online reading program that is used in over 22,000 schools across the nation. Teachers use CommonLit to find interesting texts–poetry, new articles, short stories and historical documents–with appropriately leveled passages that they can assign digitally to students. Students login to the platform and complete assigned lessons. Teachers can turn on or off individualized supports (Guided Reading Mode, or the Accessibility Toolbar) for struggling readers that need extra support while they read. Teachers then get real-time feedback about how students are progressing on certain skills. We look forward to working with Michelle Brown, Founder and CEO. Dovetail is dedicated to strengthening children’s (grades K-6) innate capacity for resilience, self-mastery, and empathy for others through its Toolbox Project curriculum, practices, and methods. Dovetail’s Founder is Mark Collin. We are looking forward to working with Chuck Fisher, PhD Executive Director of Dovetail Learning, Inc. The Freedom Story prevents child trafficking and exploitation through scholarships, Mentorship & resources for at-risk children. International Sanctuary’s mission is to empower people escaping trafficking to embrace their true identity and worth. By providing meaningful employment through International Sanctuary’s social enterprise, Purpose Jewelry, girls are able to support themselves and obtain job training and experience. We look forward to working with Co-Founder Wendy Dailey. Kinvolved has launched a movement to elevate student attendance by including families in education. Kinvolved’s mobile and web app, KiNVO, enables K-12 school staff to access informative attendance data and to engage families through real-time, translated, text messaging. We look forward to working with Co-Founders Miriam Altman and Alexandra Meis. Lively Minds is improving the quality of life for deprived children and their families in rural Ghana and Uganda through creative early childhood development programs that are run by the communities themselves. The work enlivens minds and empowers communities to use their own skills and resources to change their children’s lives, and their own, for the better. Early childhood education can be a key to breaking the cycle of poverty. We are looking forward to working with Alison Naftalin, Founder & CEO. Partners in School Innovation focuses on building the teaching and leadership capacity needed to create high- performing, culturally responsive schools. We do this by deploying and supporting highly trained and carefully selected School Innovation Partners (SIPs) that spend as many as 3.5 days a week for as many as 5 years embedded at the school. We look forward to working with Derek S. Mitchell, Ph.D., Chief Executive Officer. Using film and media as catalysts for cultural transformation, The Representation Project inspires individuals and communities to challenge and overcome limiting stereotypes so that everyone – regardless of gender, race, class, age, religion, sexual orientation, ability, or circumstance – can fulfill their human potential. The Representation Project provides youth with language and tools to overcome limiting stereotypes and then advocate for gender equality from a place of empathy and unity. Youth are engaged where they are already active – schools, homes, sports teams, clubs, and online. In addition to responding to active demand for the program, The Representation Project proactively target regions with low performance on gender equity rankings. We look forward to working with Jennifer Siebel Newsom (Founder and CEO) and Heather Ainsworth (COO). RISE is building a technology platform to speed the delivery of life-saving humanitarian aid to unaccompanied refugee and immigrant children. RISE’s solution is CIEL, a mobile-first, offline-capable enterprise software which allows for coordination of the humanitarian response and the precise allocation of resources to meet refugee needs. Focusing on child protection, asylum, health and education, CIEL has demonstrated its potential to positively impact the lives of millions of children worldwide. We are looking forward to working with CEO and Founder, Sergio Medina. Team4Tech works to advance the quality of education in developing countries by engaging technology volunteers in immersive service learning projects that support local education non-profits and build 21st century leadership skills for the volunteers. We are looking forward to working with Julie Clugage, Co-Founder and Executive Director. Ubongo helps kids in Africa realize their own potential, by bringing them localized, fun, and inspirational learning on the technologies they already have. They leverage the power of entertainment, the reach of mass media, and the connectivity provided by mobile devices to deliver high-quality learning to African students using accessible technology. Over 5 million families in East Africa learn with Ubongo weekly on TV and radio through localized edutainment programs such as “Ubongo Kids” and “Akili and Me.” Hundreds of thousands of them also connect with them digitally for anytime, anywhere fun learning. We are looking forward to working with Nisha Ligon, Co-Founder and CEO. 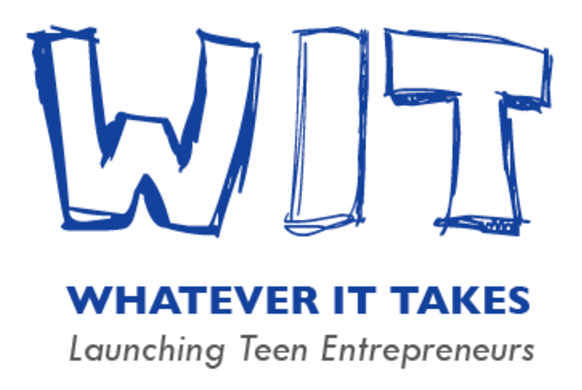 Based in San Diego with locations in St. Louis, Austin, and New York City, WIT provides the only 6-unit college credit social entrepreneur and leadership program for high school teens in the country.